Winner of the 2009 Tomato Tasting at SSE’s Heritage Farm. From SSE member Joe Bratka of Elmwood, New Jersey. Striking silvery gray dusty miller-type foliage. 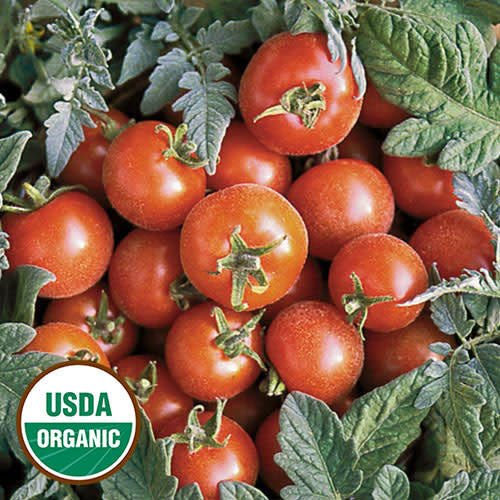 Heavy yields of 1" cherry tomatoes, excellent sweet flavor. Occasionally a non-silvery plant will appear. Indeterminate, 75-80 days from transplant.